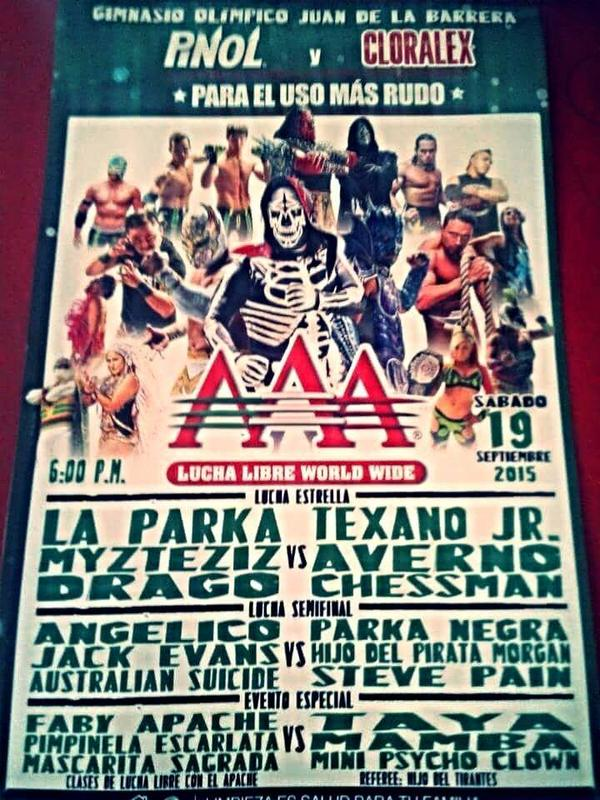 Homicida is Sergio Villa, 5 years a wrestler. 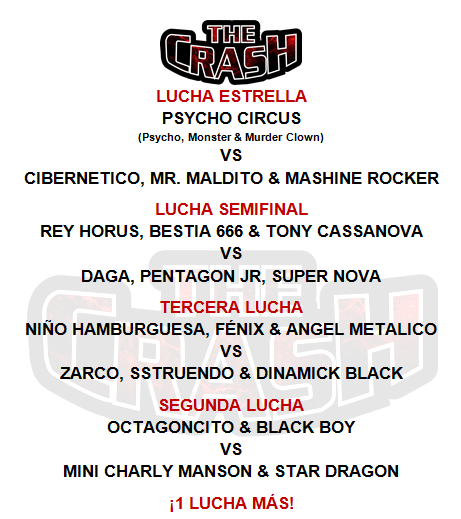 no result matched, Turipache 2000 & Destroyer came out for challenges post match. 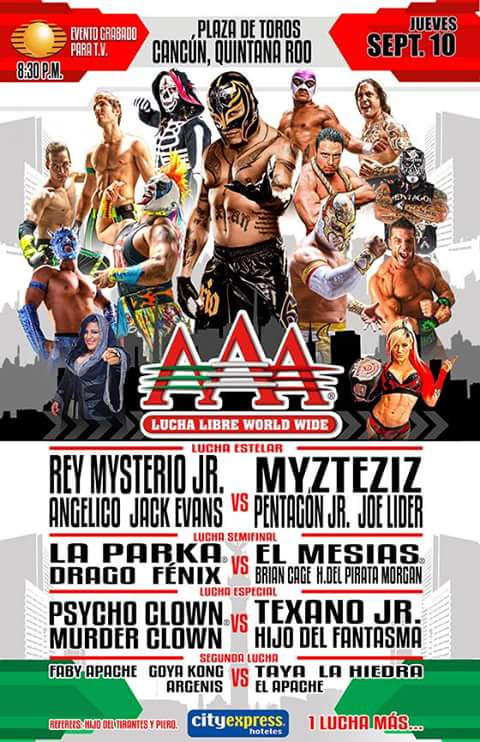 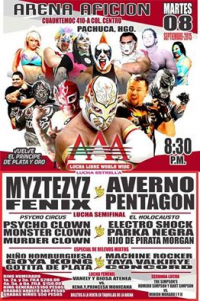 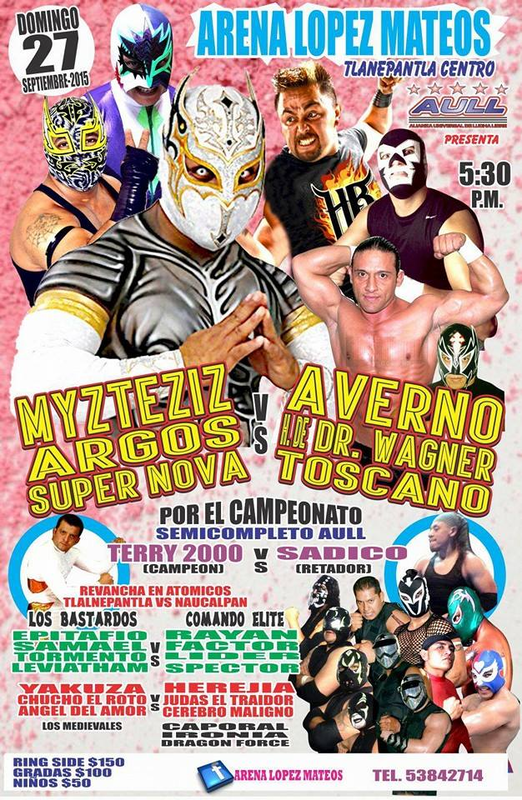 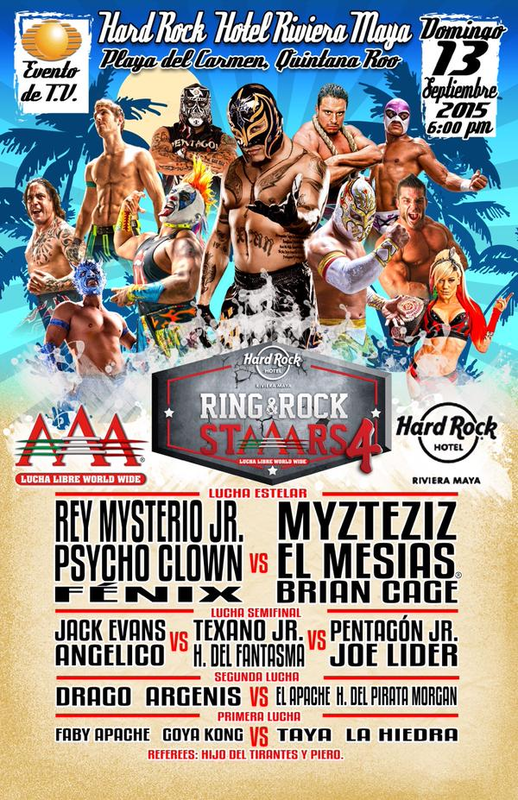 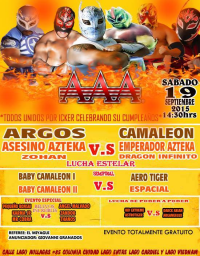 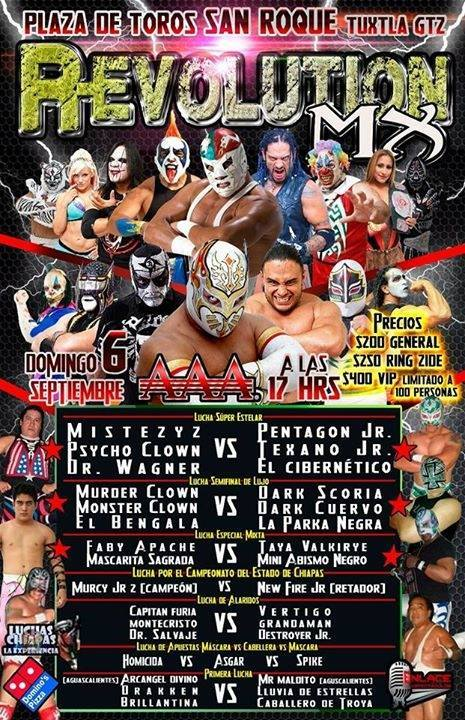 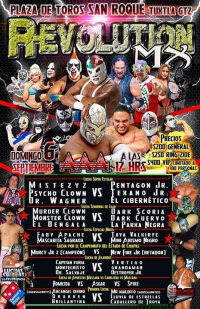 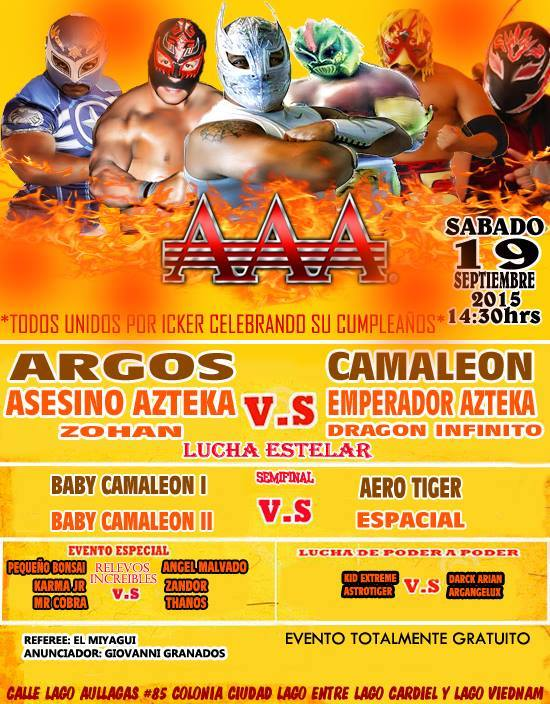 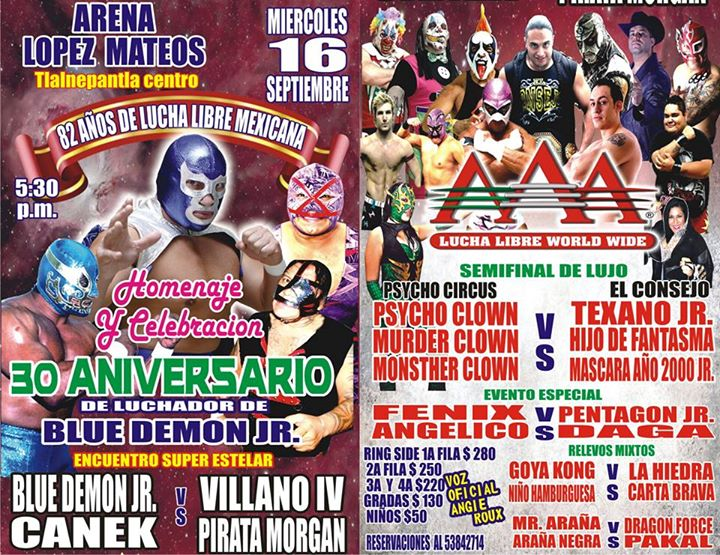 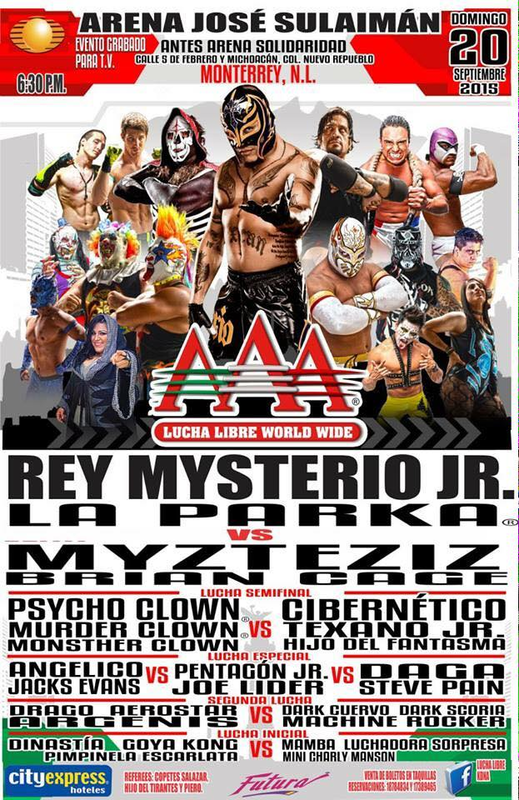 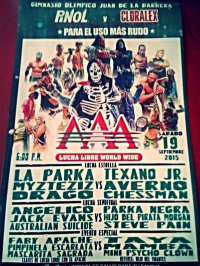 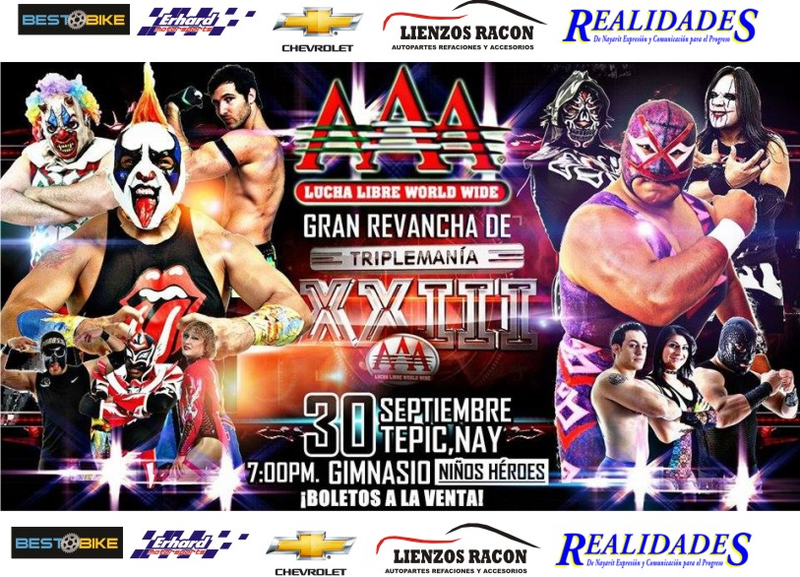 6) Dr. Wagner Jr., Myzteziz, Psycho Clown b Cibernético, Pentagón Jr., Texano Jr.
Myzteziz still a tecnico and Wagner still working with AAA wrestlers. 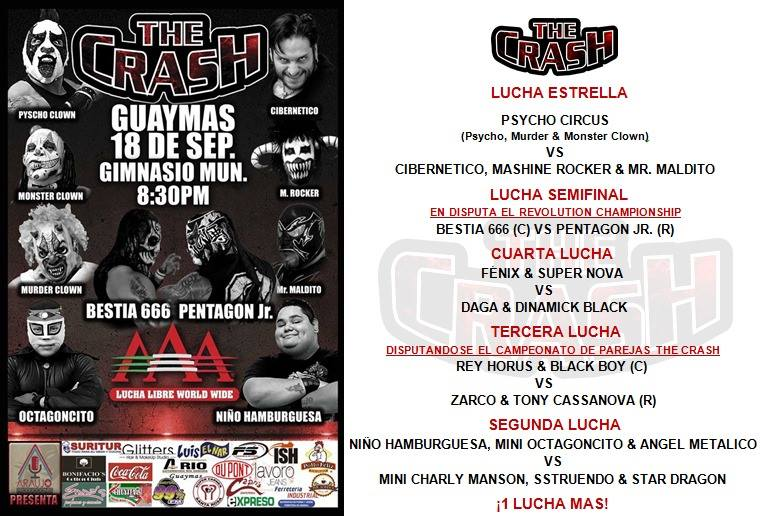 Event Notes: Bad rain hurt show. 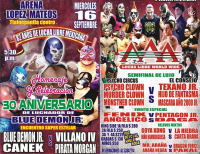 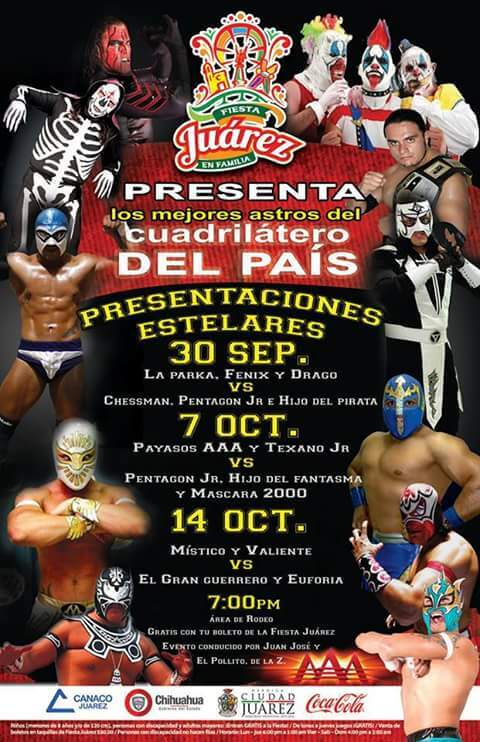 4) Monsther Clown, Murder Clown, Psycho Clown b Hijo del Fantasma, Máscara Año 2000 Jr., Texano Jr.
Casanova and Zarco won the titles. 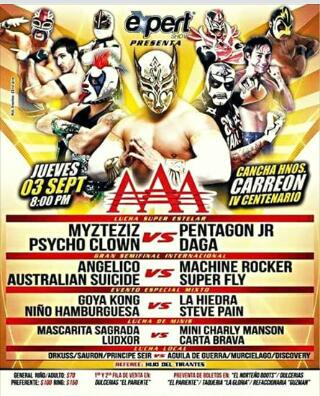 Mr. Maldito challenged Psycho Clown to a mask match and Psycho accepted. 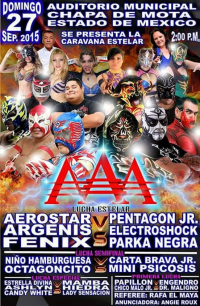 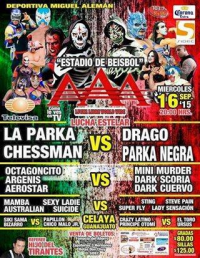 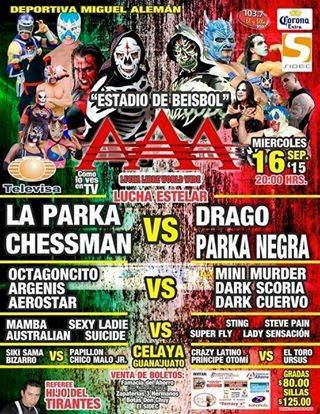 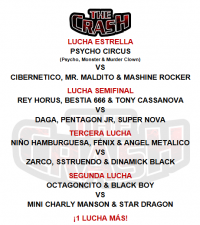 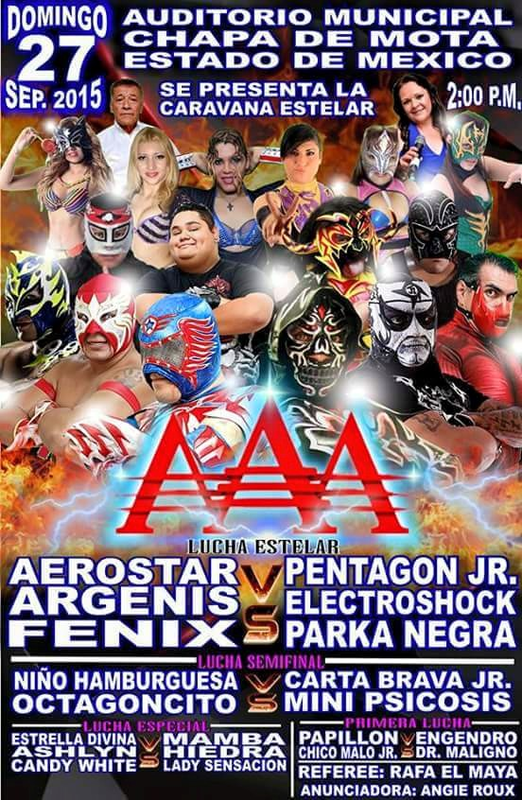 3) Drago, La Parka, Myzteziz vs Averno, Chessman, Texano Jr.
4) Aerostar, Argenis, Fénix vs Electroshock, Parka Negra, Pentagón Jr.
1) Drago, Fénix, La Parka vs Chessman, Hijo de Pirata Morgan, Pentagón Jr.